Do you have to go to some distant place and are worried that you won’t get transport for that? Well, we are here for you! Whether it be a village like Bradwell or city like London, you can Hire a Seaport Minibus for yourself or for your family. Our services are available for schools and offices too. We will try to make sure that this will be a memorable trip for you. 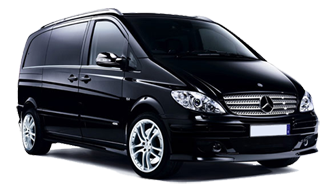 We have family friendly, efficient and luxurious minibuses available hire minibus with driver. Our drivers are experts with years of training and are skilled to deal with any kind of problem. The staff is very friendly and ready to answer your every concern. Even if you just have to go the airport, the staff tries their best to make sure you get the best there is and that there is no room for dissatisfaction. You can Hire a 7, 8, 9, 12, 14 or 16 Seater Minibus depending on what you like or what you require. The buses are very luxurious and comfortable, the seats are soft and cozy. We know that travelling can be very tiring so it is our top priority to provide you with a ride that is comfortable and enjoyable. We assure you, you won’t feel lethargic even if it’s a very long ride. Moreover, the buses are equipped with audio and video systems with LCDs behind every seat to keep you entertained throughout the journey. If you are planning to go from Bradwell to the airport then we are there to help you. Our cab will be punctual and make sure you reach your flight on time. We provide minicab and Taxi Services to Heathrow Airport, Luton airport, Stansted airport, Gatwick airport and London City airport. Delay is not a word in our dictionary. 24 hour minibus is available. Our fares are quite reasonable too. So, do not wait anymore if you are in need of a reliable cab. The safety of our clients is also our top priority, to ensure that the drivers follow the rules and drive safely. More reasons to choose Minibus Transports Solutions for the transport!